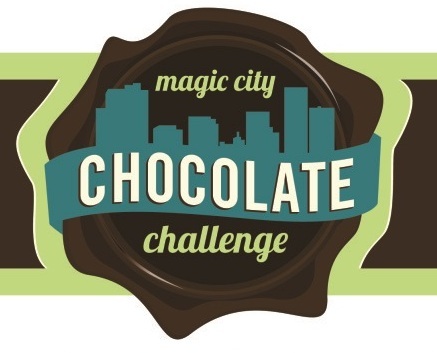 The Magic City Chocolate Challenge is hosted every year by Disability Rights & Resources, a United Way advocacy group that seeks to provide people with disabilities with the access and resources they need to be independent and thrive within our community. In particular, DR&R provides assistance to residents of Jefferson, Shelby, Blount, St. Clair, and Walker counties with job placement, peer support, resource referrals, training in computer as well as independent living skills, and home modification, among other services. 2018 was this event’s 4th year. Emceed by WBRC’s Jeh Jeh Pruitt, this yummiest of fundraisers featured live music by the delightful local band Ponder the Eclectic and nearly $7,000 worth of silent auction purchases and raffle prizes. The raffle prizes spanned from jewelry and apparel to gift certificates, and the silent auction consisted of Sloss VIP tickets, Sidewalk Festival Weekend Passes, concert tickets, a 1-year Lakeshore Foundation membership, and beautiful artwork. And of course the event couldn’t have worked without loads of delicious chocolate treats. The participating vendor list was considerable: Ivory Le’Shore’s Gourmet Bread Pudding and Cheesecakes, Carrabba’s Italian Grill, The Bright Star, K&J Elegant Pastries and Creamery, Savoie Catering, Dena’s Cakes, Lilly and Daisy Bakery, Taco Morro Loco, Crestline Catering, Anna Claire Tucker, Happy Catering, Lucky Cat Rolled Creams, Christian Catering, Velvet Kake, We Have Doughnuts, and Mason Dixon Bakery. I got too full too quickly, so didn’t make it to every single booth (though those who did eat from every vendor got shot outs and won special prizes! ), but I’ll share a bit about the ones I visited to get your mouth watering for next year’s event. The first booth in the lineup, Anne Claire Tucker’s White Chocolate and Passion Fruit Pot dè Creme, was probably one of my top two favourites. I’m a sucker for custard and passion fruit, and the combination was light and flavourful with just the right cut of acidic fruit. The acid helped prevent it from tasting cloyingly sweet like some of the others. I also thought the white chocolate was nice, considering most of the other vendors stuck with milk or dark chocolate (not all of them did, though). I’m not sure what her dish was last year, but at 2017’s Magic City Choco Challenge Tucker won the categories Best Dressed Table and Most Creative Use of Chocolate. My second stop was Taco Morro Loco‘s Choco-Flan Special. I was especially excited to try, because I love their food truck tacos. I’ve been to their brick-and-mortar location, too, but thought the food truck was superior. I’m going to give them both another try and write a review for you one day. But anyway, back to the chocolate fest. The Choco-flan special was yummy. The flan was perfectly set and flavourful, and the chocolate cake base was a nice addition. The cake bottom was just a little bit dry, though, a common problem with chocolate cakes. I bet soaking it tres-leches or rum cake style would make it absolutely perfect. I also found their really colorful booth inviting. My third stop was to Ivory Le’Shore’s Gourmet Bread Pudding and Cheesecakes. This vendor won the People’s Choice Award category at the 2017 Magic City Chocolate Challenge, so I was interested to try their cakes. I had the red velvet one and while I enjoyed the overall flavour and thought that the creme really enhanced the texture, I’ll be cliché here and say that my mom’s is better. I wish I had also tried the white chocolate on the right side, because it smelled divine, and I’m sure it tasted so, too! Next was another favourite of mine (in my top two): Mason Dixon Bakery + Bistro, a gluten free restaurant located in both Huntsville and Homewood that offers vegan options as well. This event got them on my radar, and I look forward to visiting and trying their vegan options. They served flourless rolos (stuffed with salted caramel) and delectable chocolate macaroons. Both were really terrific and super rich. I needed some nut milk after those, but I could eat them every day, especially the rolos. This booth won this year’s Best Dressed Booth Award, and I 100% agree! The next stop was what I thought to be the cleverest and chef-iest concoction in the competition. They didn’t win any awards, but they did win a ton of new customers (based on the anecdotal reviews I heard from folks tasting). Located in Homewood, Lucky Cat Rolled Creams has an adorable logo, a unique serving technique, and some really interesting flavour combinations. The treat they served at the competition, for instance, was a chocolate, raspberry, thyme combination that really got my taste buds a’tingling. My next stop was to the winners of the whole shebang. Savoie Catering won both Most Delectable Dish and Most Creative Use of Chocolate at this year’s contest. I thought their concoction was fun and clever, and I definitely give them props for the major operation they had going–a rather intense assembly line with quite a few components including white chocolate chips, chocolate pastry cream and ganache, some kind of shortbread crumble, almonds, and strawberries. My last stop was to the vendor I’d award with the Friendliest Greeter award if I were giving out awards. The dish was tasty, too–very much a deliciously messy comfort food that I’d heartily recommend! The Bright Star, founded by Greek immigrants and located in Bessemer, AL, is known as Alabama’s oldest restaurant! People from all over the region and nation flock here to visit this historical landmark. It was also the first Alabama restaurant to receive the James Beard “America’s Classic” award. The menu doesn’t appear to be particularly veg-friendly, but it’s nice to know it exists. Also, if the rest of their desserts are anything like the one I tried here, a trip wouldn’t be wasted! The last winner was a vendor I was too full to try, but I heard rave reviews of Christian Catering’s white chocolate bread pudding. So, it’s no wonder that they won the People’s Choice Award. Announcing the overall winners was the elegant Morgan Morrison, Miss Wheelchair Alabama (unfortunately my pictures were somewhat blurry, since I didn’t take my legit camera), but other judges included Jan Walsh of BirminghamRestaurants.com, Alabama Senator Linda Coleman-Madison, Alabama Media Group’s Bob Carlton, Dee Dee Dial of event sponsor Viva Health, and Armika Berkley of Cooper Green. In sum, all of the vendors were fantastic, the atmosphere was friendly and inviting, and the funds raised go to a very important cause. This article is wonderful! Thank you! The 5th Annual Magic City Chocolate Challenge will be April 30, 2019 at Regions Field. Can’t wait to see you there! Looks and sounds delicious! I’ll go next year! Yay! I’ll see you there! Thanks for a great article! This is one of my favorite annual events and the chefs are so wonderful! DRR is near and dear to my heart so I’m so glad the community came out and supported! Thank you for visiting Heart of Pixie! This is now one of my fave annual events, too! So yummy! Great article! Thanks so much! Hope to see you next year!! I really liked your photos, too. Great shots of the chocolate dishes, chocolatiers, the band, tables, and the crowd! !